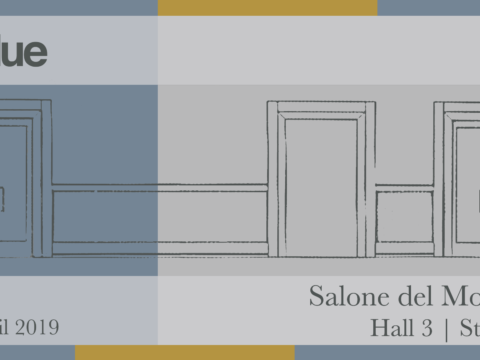 This month Elledue proudly inaugurated its first space in Armenia within Casa Ricca, an exclusive showroom located in the heart of the “Pink City”. The attitude of Casa Ricca perfectly reflects the vibrant atmosphere of Yerevan, where buildings are massive but refined at the same time. 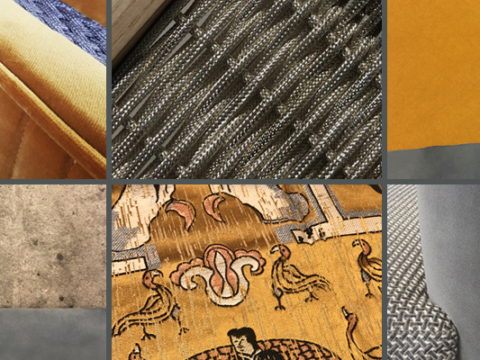 The showroom showcases a limited selection of prestigious furniture. 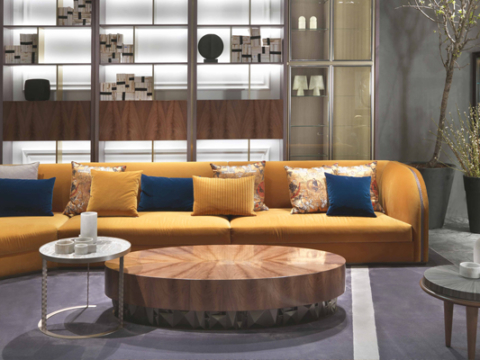 Within its dedicated space, Elledue brings its luxury-contemporary perspective showing elements from the elegant Ulysse collection as well as a set of chairs and a sideboard from the Art Deco-inspired Caesar collection. 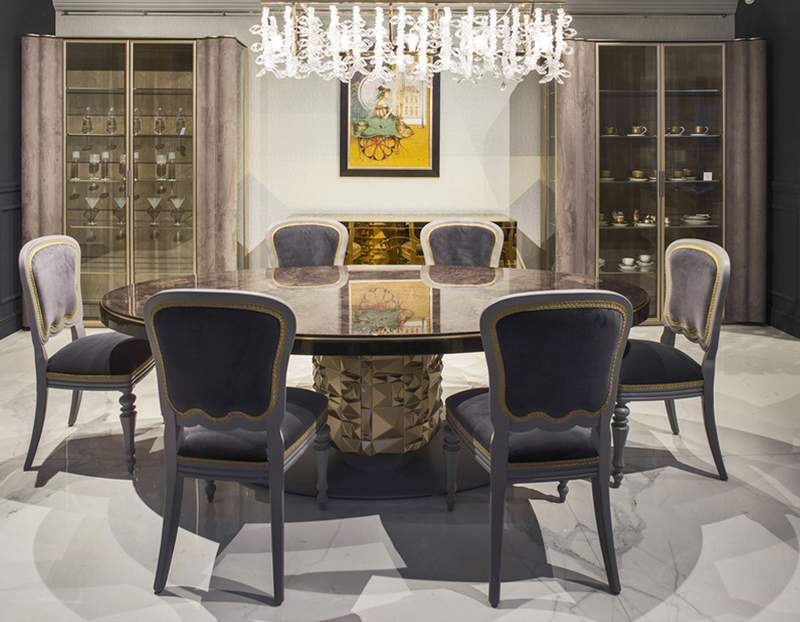 The dining room set, including a classy Ulysse table with ashlar detailed leg, paired with elegant Caesar chairs. On the back: Ulysse glass cupboards and Caesar sideboard. 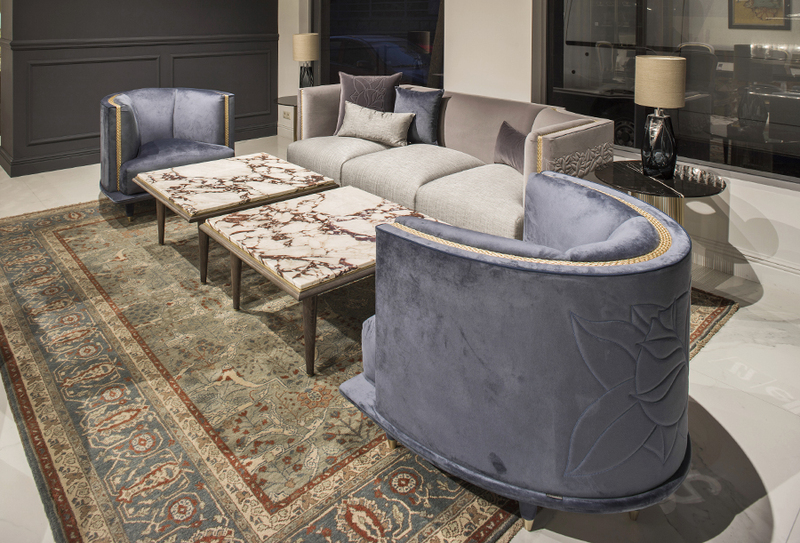 A lounge set including Ulysse armchairs and three-seater sofa, with the iconic Ulysse flower embroidery and a selection of side and coffee tables from the Ulysse collection.